Abode has been based at Hyde Park House for 5 years and this was the best decision we ever made. As we have grown as a business we have been able to move around the building in to bigger offices. Causing little or no disruption to our business and clients. It has been perfect. The facilities are amazing and the team are friendly, approachable and very efficient. We all love working from this well run serviced offices. Parker Williamson have been based at offices within Hyde Park House for many years and over this period of time have received excellent service from all the members of staff, past and present. We have moved offices numerous times within the building and these transitions have been managed smoothly and efficiently. Any problems or queries that have arisen have been dealt with very quickly and professionally. The reception staff are very polite and deal with all aspects of administration on our behalf, whether it be answering the telephone to clients, undertaking faxes or dealing with our daily postal requirements. We are also confident that if no one is in the office the reception staff are available to answer any of our clients queries or take relevant messages. The coffee shop is also an additional benefit, which has become part of the Hyde Park House charm. May I therefore take this opportunity to thank both yourself and the staff for providing a first class environment in which to base our business. I wanted to take this opportunity to say how delighted we have been with our offices at Hyde Park House and how impressed we have been with the high standard of both the accommodation and services since moving here over 3 years ago. The whole development is run fantastically well by Vicky and her team who seem to genuinely care about our business as much as we do. I wouldn’t hesitate to recommend these offices to anyone! Hyde Park House offers us everything we could ever need from call answering and admin support through to convenient car-parking and comfortable office accommodation. The facilities are always well maintained. The staff are very friendly and having the management team onsite really helps the building to run smoothly. I can highly recommend Hyde Park House to anyone looking for office accommodation in the Tameside and Glossop area. Having spent nearly 5 years at Hyde Park House I can certainly recommend it as a great location to run a business from. We are a Kent based UK manufacturer of lighting control systems offering wired and wireless systems for residential and commercial applications. The systems that we make are simple to use and cost effective. We pride ourselves on offering first class technical support and training to installers and specifiers throughout the UK, Europe and beyond. I became the Technical Sales manager for the North of England in 2011. The location, value for money and facilities of Hyde Park House and proximity to the motorway links has enabled me and my colleagues to deliver this promise of support to our customers in the North. Fantastic reception staff and a great coffee shop ensure that our customers are well catered for when they come to visit or attend our training sessions that are also run from the premises. Due to the continued growth of our business we have recently taken on another member of staff and moved to a larger office within the building to accommodate our new training facility. Hyde Park house has been a great asset to our business and we hope it continues long into the future. Enquire Consulting have been at Hyde Park House for over two years and has provided a high level of support during the growth of my business. I began in the E-space but over the last few months my business has rapidly grown. Hyde Park House have assisted all my needs to ensure a quick and hassle free office move to a larger office. I use the telephone answering service which I highly recommend. We have been at Hyde Park House for over seven years now. During that time we have had many different size of office, always tailored to suit my business needs of the time, starting with E-Space at the lower end of the scale, upwards to larger office space. We are presently in an office sized to our business need which fits current demands perfectly both in terms of size and functionality, running alongside our other warehouse and industrial units. Hyde Park House works great for me in regards to how I run the business: I can focus directly on the business without having to worry about servicing an office and all the complications that come with that. We have no hesitation in recommending the office space and business centre services provided by Hyde Park House. 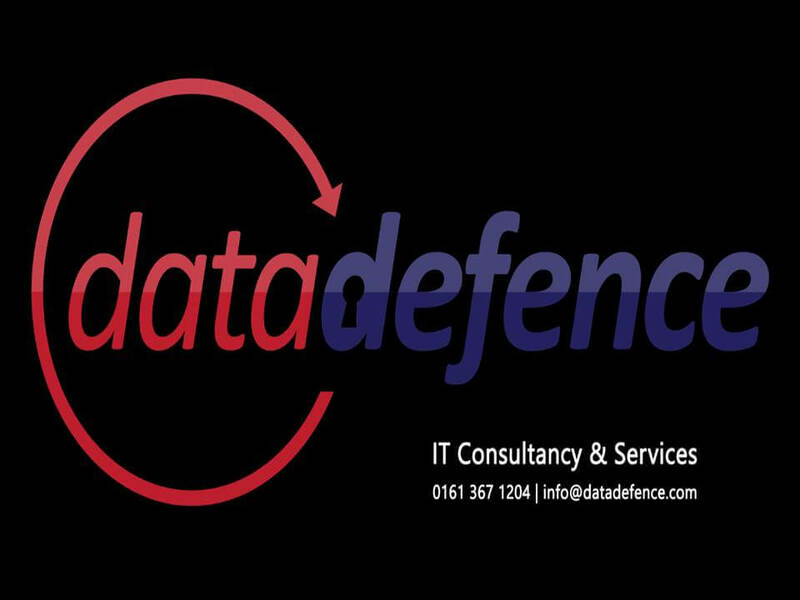 We have been tenants at Hyde Park House for over six years and our requirements for office space have grown in line with Data Defence over this period. We initially started with shared E –space and have moved offices three times so far into progressively larger offices, as the number of employees has increased. In summary, Hyde Park House has provided us with a very flexible and cost effective solution to our office space requirements allowing us to focus on growing and developing our business. We have also found that the reception facilities, on site café and meeting rooms help us project a professional image to our customers, suppliers and business associates. Hyde Park House is the ideal environment in which to grow a business. The Business Centre staff are very professional and give a great impression to any visiting clients. Best of all, as our business grows it’s very easy for us to upgrade to more space. Highly recommended. I moved in to Hyde Park House in October after working from home for many years and finding that my productivity was not really as good as it should have been. It has been a life saver! Separating my home and work space has increased my productivity so much. I don’t mind the little commute at all and I have my own parking place which is excellent. It’s a lovely place to work, the reception staff are so friendly and professional and the coffee shop is a great place to go for a break away from the computer. I originally took my office on a six month trial basis but I can’t imagine working from home again now. I would certainly recommend this place for anyone wanting a flexible, well run office space. I set up Home Estate Agents in September 2010 and had a limited budget so Hyde Park House’s value for money packages suited me perfectly. To start out I had a Virtual Office at Hyde Park House. They took most of my calls which I had to return in between appointments. It worked incredibly well and before long I was able to expand a little. I took an E-space office and hired a part-time member of staff. We carried on with the call answering service and within no time I was in need of an extra pair of hands and more space. We employed Nicky and took a small office. This all happened within a six month period. Not long after we were in much need of bigger offices still and moved across the corridor. For a start-up business I couldn’t have asked for more. I now run Tameside’s top selling estate agency from Hyde Park House and have a suite of offices that house three full time members of staff, three part time and a mortgage adviser. We are also soon to have a conveyancing team move in with us. I can honestly say the packages here have given my business a head start and would recommend them whole heartily whether you are a one man band or run a company with 10 or more. When looking to relocate our office, we viewed a range of properties but Hyde Park House stood head and shoulders above the rest – both for the facilities available and the professionalism with which our endless questions were handled. We are very pleased that our visitors are greeted by friendly staff who can also handle our telephone calls when required. We have our own parking space in the secure car park, the office space available gives us room to expand and the coffee shop is a lovely added bonus! Thanks to the excellent facilities on offer, Hyde Park House has definitely elevated our company’s profile. In particular we make regular use of the reception and call answering service which removes the hassle from our own staff – leaving us free to concentrate on running our own business. When we were looking to relocate our office, Hyde Park House ticked all the boxes. The facilities are excellent and from the moment we came to the initial viewing we were struck by how friendly and professional all the staff are. We are very pleased with our decision to move into Hyde Park House and we would highly recommend them to any business looking for office space. Having been at Hyde Park House now for several years, we couldn’t be happier. The staff are more like colleagues, and excellent ones at that, as nothing is ever asking too much and they are always at the ready. The building always looks top notch and any clients we’ve had visit us almost always express how impressed they are with the amenities. As a young business it’s key to come across as professional and competent to your prospective clients and Hyde Park House are always a positive factor in this.